Monument Valley rises out of the barren red-sand plains like nature’s mystical outdoor sculpture exhibit. The massive sandstone rock formations created by Mother Nature form a lunar landscape. They dwarf the winding roads, cars and humans, reducing them to the size of slithering skinny snakes and minute insects. The area has long been a legendary, sacred place for Navajo Indians who consider “Tse-Bii- Ndzisgaii” (the valley within the rock) – which covers 92,000 acres from Northern Arizona to Southern Utah – to be an extensive hogan/home. The two iconic monuments aptly named The Mittens are seen as the hands of a deity who safeguard the land. 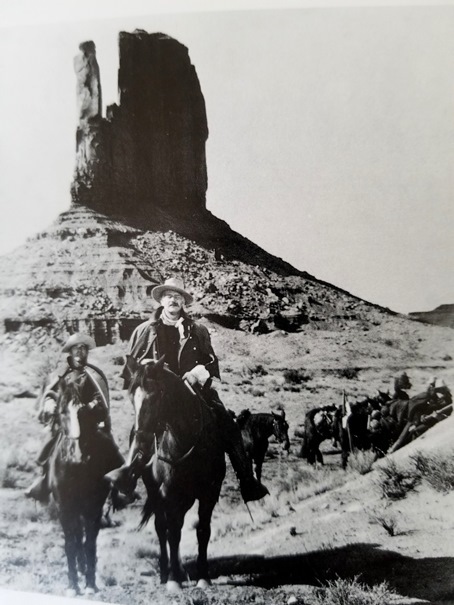 Anyone who has watched the legendary director, John Ford’s cowboy movies, will recall the fantastical monuments towering up to 1,500 feet over the landscape. 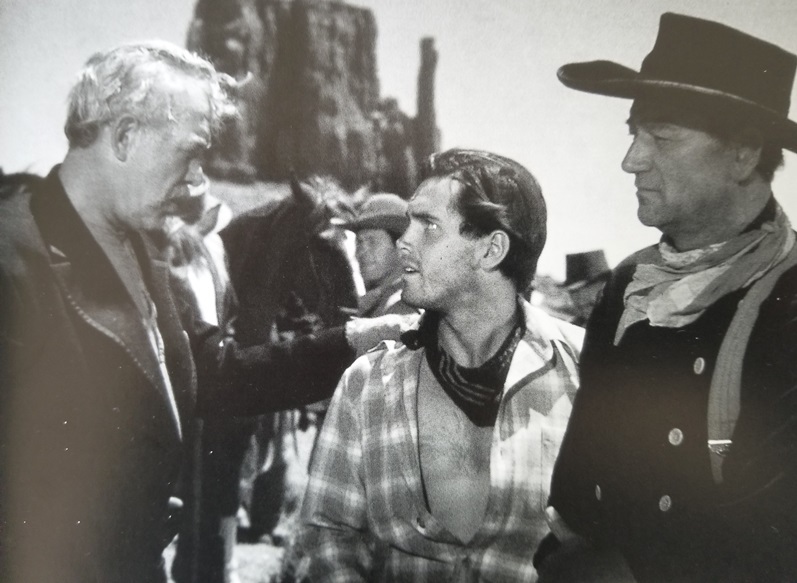 John Wayne, the most famous cowboy of all times, made more than five movies in Monument Valley, among them Stagecoach, Fort Apache, Rio Grande, and The Searchers. The author Zane Grey, best known for his romantic cowboy novels set in the American West was inspired by the majesty of Monument Valley in the 1920s. Today there are several ways for the visitor to explore Monument Valley: one can either take a tour with a Navajo guide; take a self-guided 17 mile drive, or a tour on horse-back accompanied by a Navajo guide. The outdoor patio of the View Restaurant offers sweeping, spectacular views of the valley. We ordered steaming mugs of freshly brewed coffee and settled down beneath the cloudless blue winter sky, then sat in an almost meditative state staring at the spires, the buttes, and mesas enveloped in the mystique of this ancient Navajo land. The silence was absolute; punctuated only by the occasional calls of a pair of black ravens that soared overhead. Not to be missed is the Valley of The Gods, approximately sixteen miles from the town of Bluff and a thirty-minute drive from Monument Valley along U.S. 163. A sign posted dirt road leads one on a jaw dropping loop drive that takes just over an hour. Here the Sandstone monuments reminded me of the ancient temples, castles, palaces, and forts, which we have seen in the jungles of Cambodia and remote parts of India, and the best part is, you’re likely to have it all to yourself. Take note of the warning signs not to attempt this drive during or just after, heavy rains or in a vehicle that is very low to the ground. If you are looking to spend a couple of nights in the area, the Valley of The Gods B&B is an absolute gem. 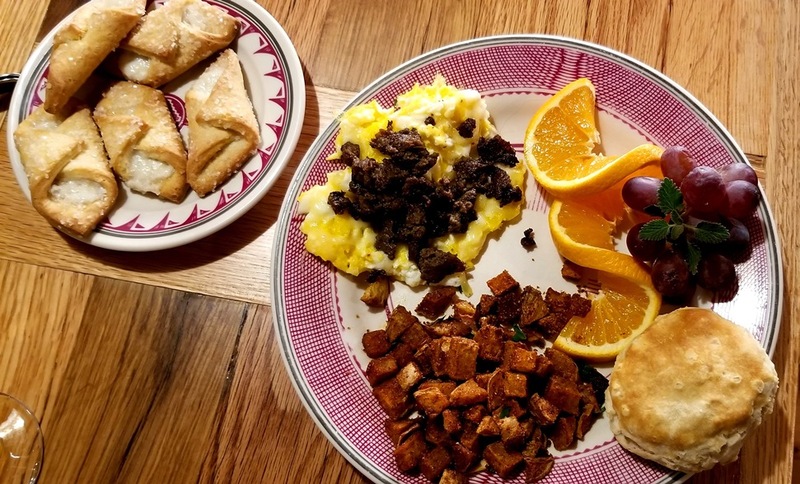 For a meal in a scenic setting, stop at the San Juan Motel Cafe that snuggles up against a mesa overlooking the river, just outside the village of Mexican Hat. Their meat stew (more like hearty meat and vegetable soup) and fried Indian bread, are delicious.